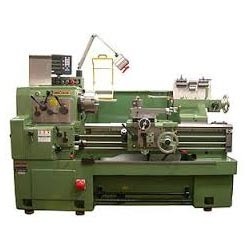 Pioneers in the industry, we offer extra heavy lathe machine, extra heavy duty lathe machine, gap bed lathe machine and center lathe machine from India. Known for its rugged construction and the level of performance it provides, this Extra Heavy Lathe Machine is highly popular in the market. Being one of the leading manufacturers and suppliers of these products, our manufacturing process involves using high quality raw materials and a number of advanced machinery. This product is widely used in various industries for the purpose of internal and external slotting, turning, etc. Quality of our products s never compromised as we send them for a number of quality checks. 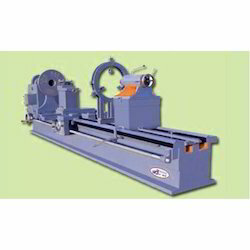 This Extra Heavy Duty Lathe Machine manufactured by us is widely known for the high level of performance it provides. Owing to its quality and pricing, this product is highly demanded in the market. These products are used for the purpose of internal and external turning, facing, tapering, slotting, etc. Manufactured using high quality raw materials, these products are further processed through a number of quality checks, as we believe it is our responsibility to provide our clients quality goods along with satisfaction. With a highly rigid spindle system and an automatic stopping device, this Gap Bed Lathe Machine is highly demanded in the market. The manufacturing process of this product involves using of high quality raw materials and high tech machinery. In order to provide our clients high quality goods, this product is sent to a team of quality analysts who check it for various manufacturing defects. This product is used in various industries for purpose of cutting and bending various materials. 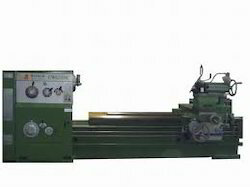 This Center Lathe Machine supplied by us is highly used for the purpose of producing concentric work. This product is a highly demanded product in the market, owing to its quality and market leading pricing. In order to maintain the quality standards, we process these products through a number of quality checks. The product is known for its sturdy and durable construction. This product is made available for our customers as per the specifications provided by them. Looking for Extra Heavy Duty Lathe Machine ?